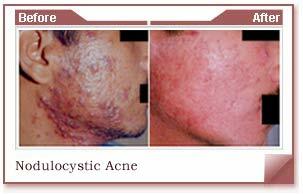 Acne is a difficult and unsightly problem. First it harms us by making our skin less than perfect, then adds insult to injury by leaving acne scars in its wake to remind us forever of our problem skin. What are the types of acne scarring? Ice pick scars are deep, narrow scars which form pits in the skin. They are among the most common. Rolling scars create a wave-like appearance on the skin's surface due to their wide and shallow depth. As one might expect from their name, boxcar scars have angular, well-defined edges usually on the temples or cheeks. Their appearance is similar to chickenpox scars. Hypertrophic scars are raised scars which stay within the boundary of the original wound and can reduce in size with the passage of time. Keloid scars, on the other hand, are overgrowths of tissue which expand beyond the original wound site. The scar is rubbery and firm and may itch. Often they form to be much larger than the original wound. How are acne scars different from other scars? Acne scars are bound down and depressed. As with other scars, acne scars are the result of a wound in our skin healing, resulting in too much collagen in that particular spot. Unlike other scars, however, acne scars are bound down and depressed within our skin. Since the wound occurs within the dermis from the original inflammation brought on by acne, the scar is often within our skin, rather than on its surface. This makes acne scarring very difficult to improve. Modern science has, however, developed some highly effective technologies for treating and removing acne scars. 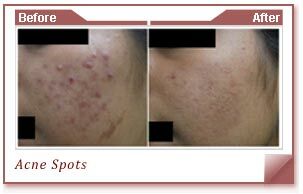 Lasers can be very effective at improving the look and texture of acne scarring. How can I remove my acne scars? There are a number of treatments often used to remove or diminish acne scars. In my opinion the treatment of choice is non-ablative laser treatment or fractional lasers. They are generally very effective with little downtime. At Three Graces we have a database of 1000 patients who have been treated so far with extremely satisfying results. 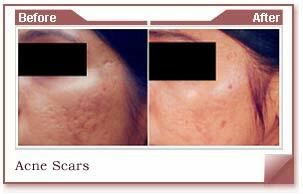 How does Fraxel laser treat acne scarring ? This exciting new family of lasers has revolutionized laser rejuvenation treatments around the world. It was developed in the United States. The process utilizes a laser to minimize the appearance of scars, lines and wrinkles, as well as improve the overall texture and surface of the skin. . The Fraxel laser has the same minimal down-time associated with IPL treatment or a light chemical peel but with superior results that only a resurfacing laser can give. What are the different types of Fraxel laser? There are currently 4 types of Fraxel laser. The first and easily the most popular is the Fraxel Re:store. It resurfaces and regenerates new skin with only 4 days of redness and swelling and usually no peeling. 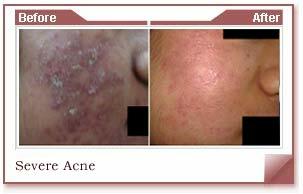 It is the most appropriate type of Fraxel for acne scarring and most skin rejuvenation. The Fraxel Peel (a component of Fraxel Dual) gives a more superficial treatment and results in a significant peeling of the skin over 5 to 7 days. It is best suited for treating sun-related pigmentation. The Fraxel Re:pair is closer to the older resurfacing lasers. 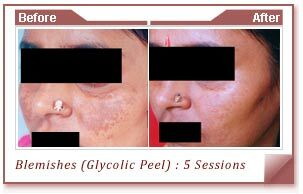 It results in bleeding of the skin at the time of treatment and redness that can take 2 to 8 weeks to fade. It is a more aggressive treatment that is usually reserved for deeper wrinkling and is not suitable for Asian skin types. The Fraxel Re:fine is designed to be operated without the supervision of a doctor. As a milder treatment it does not deliver the same results as the the other Fraxel lasers. The Fraxel lasers works by emitting thousands of very precise pin-point columns light that pass through the skin and are absorbed specifically by the water in the damaged collagen of our skin. This action allows the laser light to remove very fine portions of damaged skin, diminishing the look of scars, wrinkles and uneven textures. Fraxel is “fractional” in that it intensively treats tiny portions of the skin without affecting any of the surrounding tis-sue, which reduces healing time and promotes the skin’s natural process for creating new, healthier tissue to replace the damaged cells. The older, wrin-kled collagen in the skin is remodeled into newer skin. 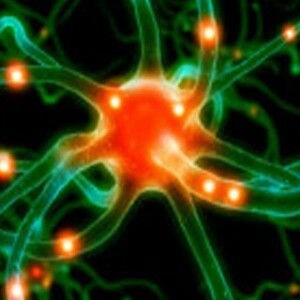 As new cells form in the healing process, the skin is smoother and softer. 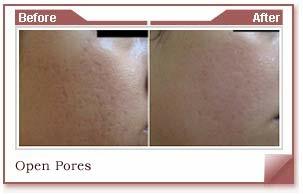 Why Choose Fraxel Re:store Laser Skin Resurfacing? 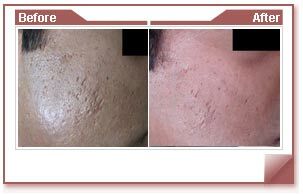 Fraxel laser is suitable for anyone who wants improved skin texture. It offers results that were previously only possible with older resurfacing lasers that required days and weeks of crusting and redness and a risk of permanent whitening of the skin. The fraxel laser offers resurfacing with only 1-4 days of redness . 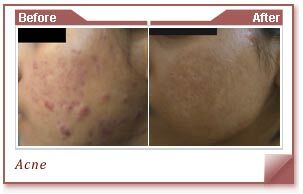 Fraxel laser is a break-though especially for younger patients with acne scarring or darker skin types where previous resurfacing lasers resulted in unacceptable side effects. 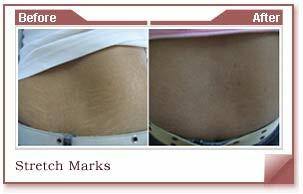 Unlike previous resurfacing lasers, the Fraxel laser can be safely used on body sites other than the face. 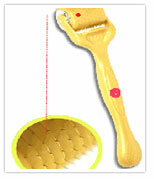 It gives excellent results for the backs of hands, neck and chest in particular. 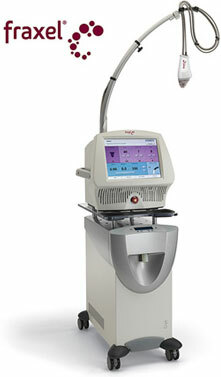 The Fraxel laser has also been shown to reduce precancerous sun-spots over broad areas. There is a variable amount of discomfort during the procedure. Most patients describe it as a warm prickling sensation. Prior to the Fraxel™ procedure you will be given either a topical or local anesthetic. 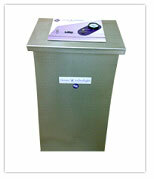 A chilled air blower is used to relieve the discomfort. The skin may be iced following the procedure. After the procedure, most describe the discomfort as a mild sunburn that subsides quickly. Is the Fraxel treatment approved for treating acne scars? 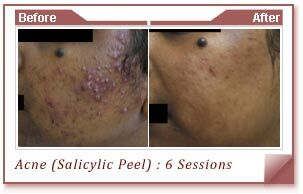 The Fraxel treatment is FDA approved for treating surgical scars, acne scars, and skin resurfacing. This non-invasive procedure removes the scars without damaging the remaining skin. 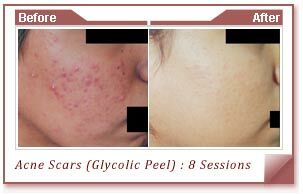 What is the success rate of Fraxel laser treatment on the acne scars? The success rate of the Fraxel treatment depends up on many factors and varies from patient to patient. 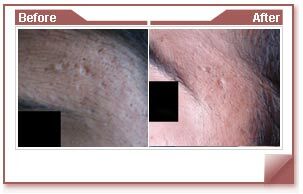 Most of the patient who suffered from acne scars are thrilled with the results of the procedure done by Dr. Soin and her team. One can see an immediate result within a short period of time through the Fraxel laser treatment compared to other treatments. The result of Fraxel laser treatment is progressive and it may take 3-5 treatments in sessions that are 1-3 months apart. In a nutshell it remains the finest treatment worldwide for treating acne scars deep where the problem lies and the results are forever and continue to improve over months and years. *Vitamin A- Vitamin A strengthens the protective tissue of the skin and helps the skin repair itself. It is also an antioxidant that plays a vital role in getting rid of toxins. 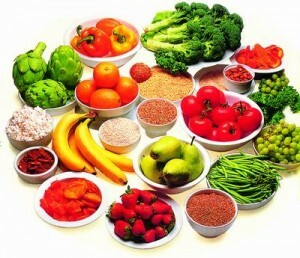 *B Vitamins- B-complex vitamins are known to play a role in stress reduction, which indirectly affects acne development. They also enhance skin tone and are vital for the overall health of the body. Caution should be used while taking B vitamins because high amounts of these vitamins can cause skin problems. Anyone who takes large amounts of these vitamins should talk to their doctor so that they don’t accidentally overdose. *Vitamin C- Vitamin C is vital for many necessary functions body functions. 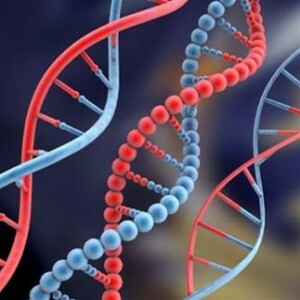 It plays a role in tissue repair and growth. Protecting against infection and enhancing the immune system is an important function of vitamin C. It may also be combined with bioflavenoids for an antibacterial acne fighting effect. 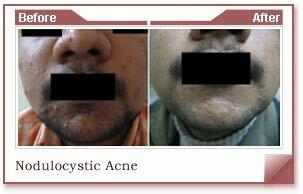 Acne is a skin condition affecting millions of people from age group of 15- 30 years across the world. It not only leads to social embarrassment but can also leave scars on your face for the whole life. So a timely correct treatment is important. In most of the patients visiting our clinic, we prescribe only gels and creams to apply without any oral medicines & they usually respond. In some patients oral medicines are added when required. Unlike most of the places, here you won’t be misguided to undergo peels & laser treatments portraying them as the only treatment option to solve your problem. 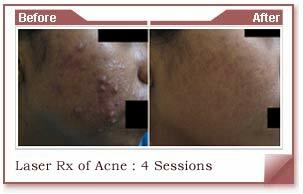 Laser Acne treatment. (Helps in quicker resolution of acne). 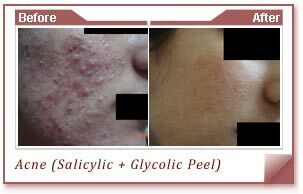 Chemical peels: Salicylic acid & Glycolic acid peels. The "OLD WAY", Up until now, the gold standard in reversing the signs of aging has been resurfacing with the traditional CO2 laser. 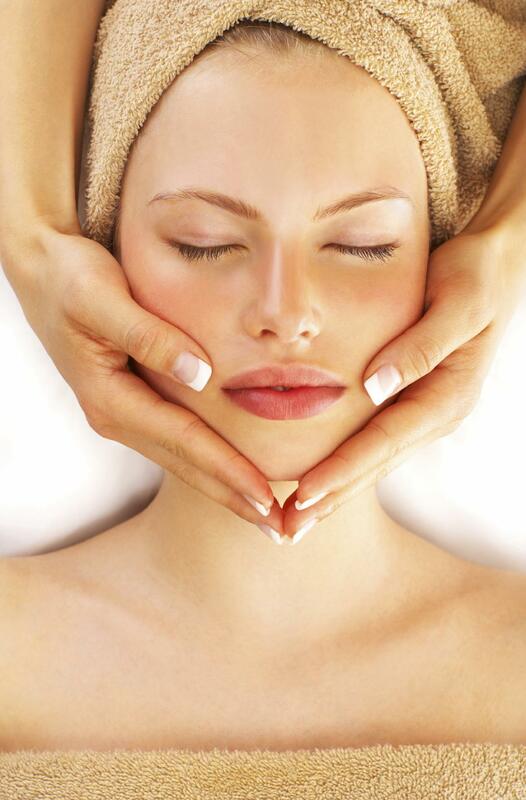 Resurfacing is achieved by peeling away a layer of skin while causing tissue contraction. Although this technique achieves dramatic results, patients often undergo general anesthesia and prolonged healing and recovery times (as long as two weeks). The "NEW WAY" – Fractional Resurfacing. A “fractional” laser is one where the laser-light beam is not solid but rather broken up into a grid of thousands of microscopic beams. Think of poking tiny holes in a black piece of paper and covering a flashlight and you get the rough idea. Unlike old resurfacing lasers that remove the entire top layer of skin, fractional resurfacing works by creating a grid of pinpoint laser beams that zap tiny spots on the skin. This produces thousands of tiny but deep columns of treatment in your skin, known as microthermal treatment zones. This method protects the skin from enduring too much damage at once and, because you have an 80 percent reservoir of normal skin surrounding these microthermal treatment zones, healing is fast. 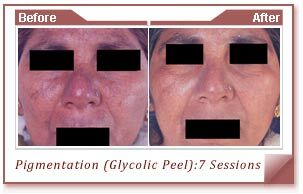 The term “fractional” By design, each treatment session targets about 15 to 20 percent of the skin's surface. 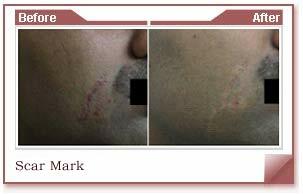 In other words it treats a "fraction" of the skin surface each time and that is why the technique is called "fractional laser resurfacing" and one of the lasers uses the brand name “Fraxel”. The usual trade-off dictates that the deeper you go with a resurfacing procedure, the more dramatic the results, but with added downtime and risk. So typically a light acid peel or a microdermabrasion has almost no risk of adverse effects and no downtime, but the results are modest. On the other hand, a deep traditional CO2 laser resurfacing can give dramatic results, but it requires general anesthesia and more than two weeks of recovery, and the risk of side effects is too high in our opinion. The Fraxel laser and the fractional CO2 laser are different: they can penetrate deeply for dramatic results and they have excellent safety profiles. 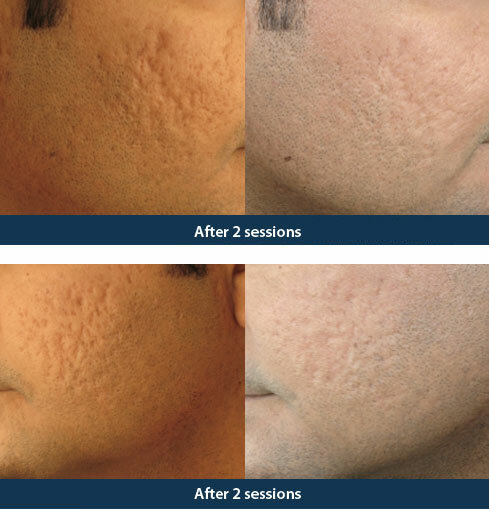 Dermaroller is a new French technology which has amazing results in depressed scars caused by acne and chicken pox with good results in just 3-4 sessions. 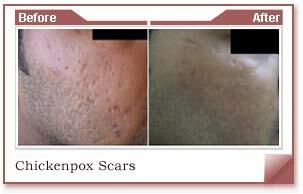 Scar removal – including acne scar removal /treatment. Short healing period within days. Minimum risk and no side effects. Short treatment time with no aftercare and no downtime. Added bonus of Facial Rejuvenation. No sun sensitivity after the treatment. 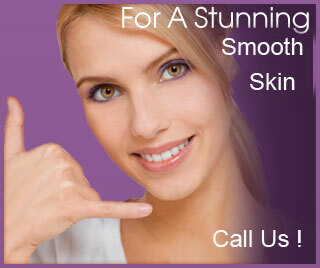 All skin types can be treated, very safe in dark skin patients. 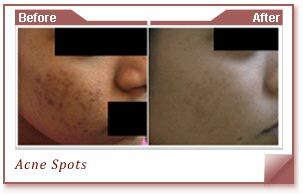 Faster resolution of acne & spot clearance. Reduces acne & acne scars. Improves complexion of skin & makes skin vibrant. As it stimulates collagen synthesis, has an anti-aging role as well. Reducing fine lines and minor scars. Removing sun and age spots. Cleaning enlarged and clogged pores, blackheads and whiteheads. Restoring a healthy, smooth feel to skin. Helping fight signs of aging. Hyperpigmentation . 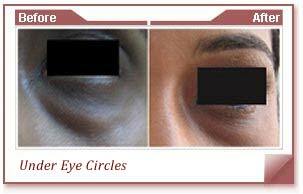 Under eye circles & puffiness. Microdermabrasion promotes the production of new cells in the basal (deepest) layers of the dermis and stimulates the growth of collagen to further smooth and improve skin tone and appearance. Microdermabrasion appeals to younger patients as a great way to reduce occasional blemish flare-ups, a deep cleansing facial and as preventive skin care to fight the first signs of aging before they actually appear. Best results are achieved through a series of treatments and a regular maintenance program. Being totally non-invasive, there is virtually no discomfort, down time or recovery. Patients typically experience some redness for about an hour after the procedure. Healing time for most is just a few hours. The Fraxel Re:fine is designed to be operated without the supervision of a doctor. As a milder treatment it does not deliver the same results as the other Fraxel lasers.